In this paper, we would like to offer the reader an introductory look at the most unique of the five volumes, the 'no-season' or Muki Saijiki, which represents a great innovation in modern haiku. The above kanji constructions (re-translations from the English) give no results when googeling. "Muki Kigo" "non-season season word" is a contradiction in terms and not commonly used in Japanese, as far as I know. Modern Haiku Saijiki / "No Season"
The term "muki kigo 無季季語" (no-season season word) or "muki saijiki 無季歳時記" is not used in Japanese, as far as I know, we usually say "muki haiku　無季俳句" (haiku without a season word or seasonal reference). 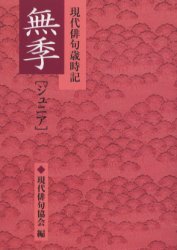 This kind of saijiki usually collects zappai poems also classified into the seven categories of Japanese haiku; this kind of poetry collections have been done for a long time. A question from a haiku friend sparked a long private discussion with Richard Gilbert in March 2007.
like "miso soup without miso", as some Japanese argue. Basically, we all agree on the importance of such a kind of saijiki as the MHA has attempted and I work on the same effort here in the database, so it seems to me just a bit on the best naming of the baby. Some call these words we are struggeling to define here as Keywords. Higgionson calls these words "topics" or all season topics, I prefere simply "haiku topics", since in this context here the season is not the important part. Here we have the "non-seasonal season word (muki-kigo　無季 季語)" ELEPHANT and the "real-seasonal season word (yuu-ki kigo 有季　季語 ... well I just coined this word) " mountain cherry blossoms, the whole haiku presented in a saijiki section termed "no season" MUKI. But what about the cherry blossoms? This is a kigo by all means, giving the haiku a definite haiku SEASON. The haiku could be in the SPRING section of the same saijiki without any problem. For my European logic, this is plainly confusing. In my terminology I have no problem with this. We have a haiku topic, elephant. ; a season word (kigo) cherry blossoms. 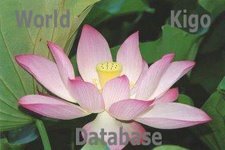 A collection of words called Haiku Topics (regardless of any seasonal mention). No problem with my European logic here. I wonder how others feel about this ?! published in Modern Haiku Journal (Summer 2006). You will read that he uses "muki-kigo" in two paragraphs there. 1) "As increasing numbers of kigo and muki-kigo are arriving concurrently, it is natural for the saijiki to include both: this is what a saijiki should be." 2) "This new saijiki provides examples showing the history and variation in the use of both muki-kigo and kigo, and we have made an effort to offer a sweeping view. " So, I hope that you will desist, and admit that you stand corrected, as you seem intent on not forstering mistaken terms. Speaking frankly, I would like to posit, based on the above translation, that "muki-kigo" is a viable term, a technical term, which most recently and significantly has been introduced by the MHA ([Japan] Modern Haiku Association; gendai haiku kyokai), in their revolutionary and innovative saijiki. So, it's not really a matter of what type of haiku you are quoting, but rather a matter of principle. The term 'muki kigo' or 'muki-kigo' exists, is effective, and utile. You may not like it, and may disagree with it, and may choose not to use it, of course! But I hope I have shown to you and other readers that the term is about as "official" as can be. The Introduction (at the link above in translated form) is at the front of each of the five volumes of the new MHA saijiki. As the saijiki has taken over a decade to publish, it's not an insignificant matter. What's most interesting I think is the really clever way the MHA reframed the saijiki, in recalling its Chinese roots, and how the Japanese renga tradition narrowed the concept to season words, over some centuries. It's fascinating. So, by reframing the intention and concept of the saijiki -- that is, by returning the saijiki to its wider 'saiji' conception, the idea of kigo is consequently reframed, and expanded. And so, we can have muki-kigo, kigo with no season. And they didn't say, "let's use the term 'saiji' not 'saijiki.'" By keeping the term "saijiki," when interacting with the MHA saijiki, we need to keep in mind the reframed concept. And this reminds us of the roots of the haiku and kigo traditions. That's truly wonderful -- it adds culture, rather than removes; enriches, rather than impoverishes. I wish we were as clever in innovating our own terms, in English. We're still hung up trying to sort out 'haiku and 'senryu,' as if our lives or the genre depended on it. What the MHA did so brilliantly was enrich a stark duality ('kigo or not') with expansive levels of dimension though a reframing of the ancient past. Perhaps there are some clues to be had. I hope the above resolves the potentially tempestuous matter of whether "muki-kigo" is viable or not. The answer is that it is viable and utile, according to the MHA saijiki and Kaneko Tohta. we will see in the future if this term will be picked up by the online haiku discussions. And there is always room for improvement with something new. Instead of the term "non-seasonal season words", which I still feel is rather awkward and a contradiction in terms, would "Haiku Words (kugo　俳語）do it, if you want to use something that has not been used before? "seasonless words" (muki kotoba　無季言葉)? Or maybe another term which does not include the idea of SEASON　季 at all, that we have not thought about yet? Something even better? I still prefer "haiku topics" for the words in question. The "better" is the enemy of the "good" ! This is an ongoing discussion of sorts. Feel free to add your opinions as a comment here. after I finally got my volume of the book in question. 1) "As increasing numbers of kigo and mukigo 無季語 (NOT: muki-kigo)　are arriving concurrently, it is natural for the saijiki to include both: this is what a saijiki should be." and we have made an effort to offer a sweeping view. " is used in the 無季 Volume too. Kaneko Tohta uses the expression MUKI GO as I expected. this is a verbal construction in English that can be used. In this case, it is a convenient, shorthand way of saying, "this is a word which we want to act like a season-word acts, without actually fitting the standard definition of a season word." One can find several references to "non-haiku haiku", meaning a writing that superficially resembles a haiku, but in fact isn't one. Such statements as a "non-something something" are technically contradictory, if not downright absurd, but they do convey a meaning anyway. 150 without a kigo (a lot of them by Kaneko Tohta), as of March 2007. These numbers speak for themselves, I think !
. WKD : Trying to define HAIKU . This reminds me of the concept of Zero. ..snip ..
More is in the link above. Gabi, now I am totally confused. To Kigo or not to Kigo, that is my question. Were we to Kigo, what are the appropriate words for late autumn? it is always better "to kigo".